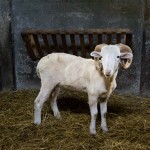 You may have noticed our sheep looking a bit bare. 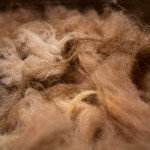 It’s been a week of shearing! 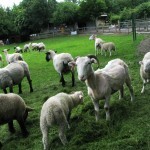 Over the past week we’ve shorn our entire flock (except for this year’s lambs). 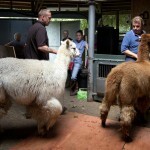 That’s a total of 48 sheep and 2 alpacas that needed their summer shear! 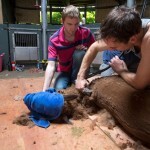 Lots of work to do! 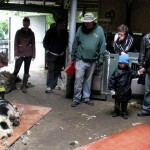 Some of you may have been lucky enough to catch Derek in action or caught our tweets live from the shearing barn. As happens so often in farming, what started off like quite a simple job ended up taking two days after a slight hitch involving the batteries powering the shears! But it worked out brilliantly as Monday turned out to be a drier and altogether better day for shearing than the wet and windy weather we had on Friday! 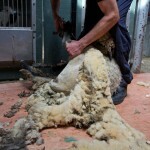 More photos of our sheep and alpacas being sheared on the next page! 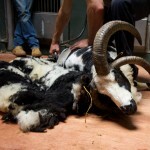 You can find more photos in our 2012 Shearing flickr set! 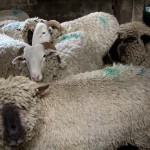 And for information about our available fleeces, please see our 2012 Wool Sales page. 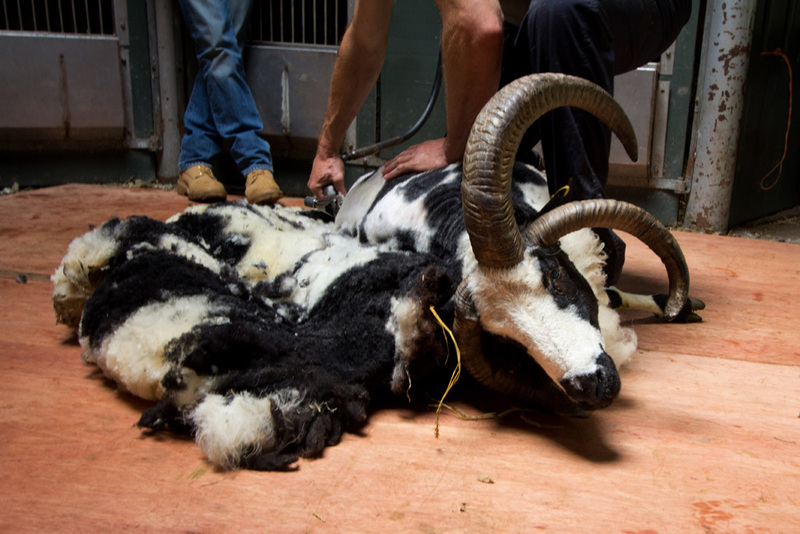 You can watch one of our Oxford down sheep being shorn from start to finish below!